Michigan once again belches forth another dose of venomous filth. 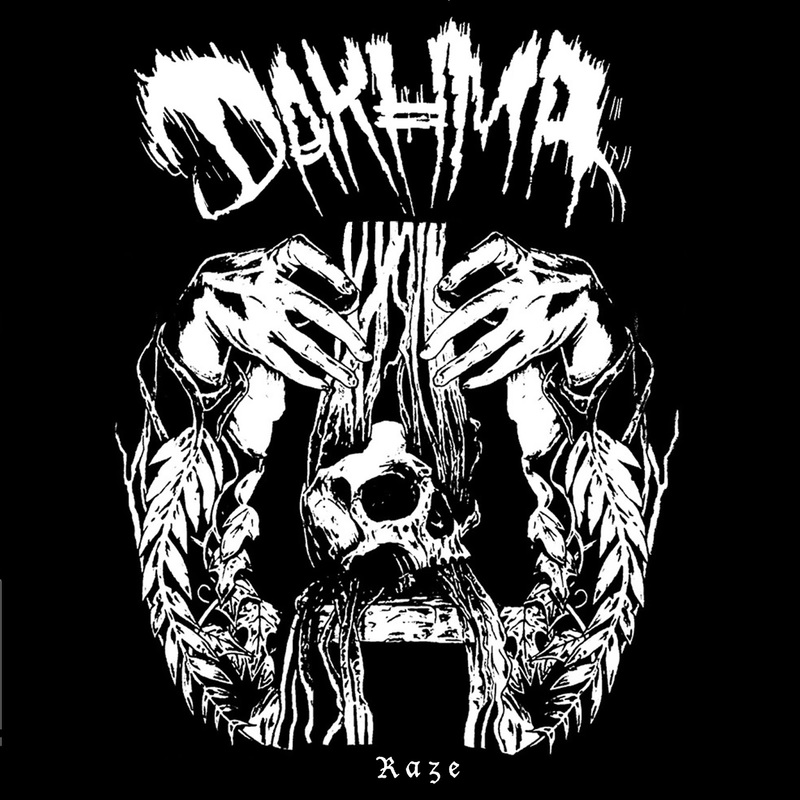 Dakhma plays super heavy and raw black metal inspired punk with swirling riffs, punishing drums with a snare hand that won't quit, and hideous female vocals to top it all off. 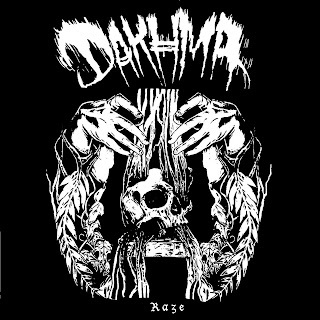 Occasional dark quiet passages allow you a moment here and there to breathe, but expect intensity in the vein of Cloud Rat gone black metal. No pretension, no act, just pure punk filth. These are screenprinted on inside out unused record covers to minimize resource use. This is a split release with All We Know Records. They are sold out.